Missouri Education Watchdog: If You're Not Paying Attention To Education, Don't Worry. They Are. If You're Not Paying Attention To Education, Don't Worry. They Are. Wading into education at this point in time is like walking across quicksand during an earthquake. Nothing seems stable, at least not for very long. There is a growing understanding that education as we know it is changing. This is not necessarily a bad thing, but there is justifiable concern about what it is changing into. The Saul Alinksy tactic tells the change agents to create a crisis that will force the average person to demand that the status quo change. The key is to have a new status quo ready to go. It is therefore important to look past the changes taking place in education to see what system has been laid for us to "fall into" when the current public education system breaks apart. Who is guiding the transformation and where are they taking us? Clint Richardson who writes the Reality Blog found another major player (besides Gates) in education by following the money. He introduced us to CORE Education and Technology Limited, a global company deeply embedded in the education industry. 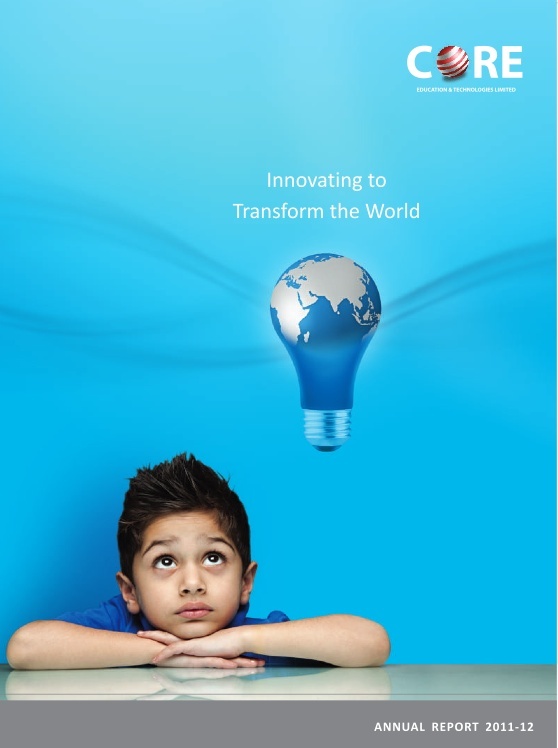 His post CORE: Making Children Stupider Around the World" is an eye opening examination of this India-based company that is "re-imagining" education for the world. That is not just marketing bravado. Their Annual Financial Report reveals a company that has seen a 50% increase in revenue in just the last year. Their annual revenue is now at $16.9 billion. As Richardson writes, "This is unheard of, except in government (taxpayer) supported corporations which symbiotically thrive together in public private partnerships." The impact of CORE’s intervention is significantly huge today, with benefits accruing to more than 35 million students, 60,000 youth, 105,000 teachers, and 88,000 schools worldwide. Having established a strong global presence through 36 offices across the globe, CORE considers its journey to have just begun. “Ready to create a promising future"
Richardson takes the reader on a harrowing journey through CORE's AFR showing us that this company in particular has a vision of what the new education landscape should look like and it appears they have the financial wherewithal to make that vision a reality. I highly encourage you to read the entire post here. If all you know is that you don't like the education provided in your local public school and you are simply railing against common core because it appears to be the U.S. government involving itself in local jurisdictions, then you are far behind the learning curve. The changes to education are global, are being orchestrated by transnational corporations who have deep pockets and deep ties to government to help bring their vision to reality. Education is fast becoming merely workforce training for the benefit of the national economy. “Improving our workforce and ensuring it remains internationally competitive is an issue that calls for national attention and demands gubernatorial leadership...Engaging education, business and government leaders in a dialogue about what governors can do to more closely align common education, universities, community and technical colleges and workforce training providers with future labor demands." Governor Mary Fallin - New President of the National Governors Association. If you don't have a clear vision of what you want in your local education, don't worry. CORE will provide one for you. Just when you thought nationalized workforce training of human capital was bad...globalized workforce training of human capital! Found one school in my state of AZ "collaborating" with Core Edutech for high schoolers. And it's a vocational charter school - big surprise.